Overall the support I received from Maria Elena, the local ABV Coordinator, was great! From the moment I arrived at the airport, she was very helpful at showing me around Cusco and teaching me how to get to all the places I needed to go. While almost everything was amazing, the only thing that needs to be improved is making sure that volunteers are placed in the volunteer work they signed up to do. I signed up to work with kids from the ages of 0 to 5 and unfortunately, because of teacher strikes I was only able to work with them in the Kindergarten for 2 days. Program: The thing that surprised me the most was that although I was only able to work in the kindergarten for two days, I became very close to both the kids and the teachers within that short period of time. I was so happy to be working in the kindergarten and this experience helped me realize that I definitely want to work with young children in my career. 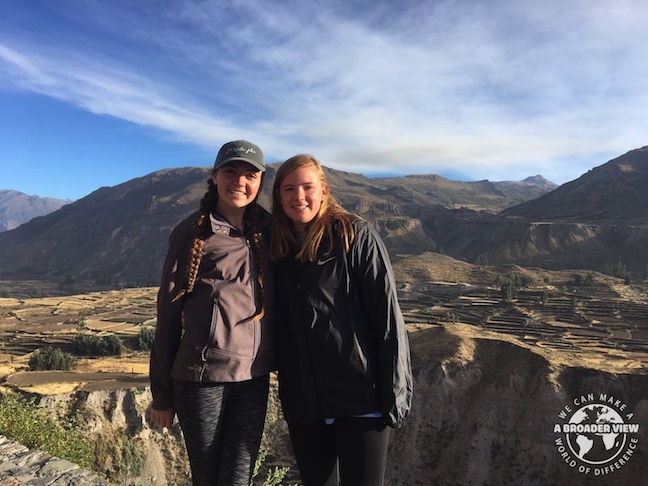 Host Family: Before I came to Peru, I was a little apprehensive, but I ended up having a better time then I ever could have imagined and a lot of that had to do with the other volunteers I had the opportunity of working and living with during my time here. It surprised me how close we all became in such a short amount of time. Country: One of the most surprising things to me about Peru was how diverse it is. In just one small country there are mountains that are great for trekking, a jungle, and beautiful beaches. I would recommend that everyone who comes to Peru take the time to explore and each of these regions. Program: The most challenging thing for me while I was here was that I signed up to work with children from the ages of 0 to 5 and because of the teacher strikes I was only able to work with them for 2 days, but I still loved working in the orphanage with the older girls so it all worked out well. Host Family: The most challenging thing for me was getting used to how different Peruvian meals are from American meals, but once I got used to it I was fine. Country: One weekend, another volunteer and I went to Arequipa to see Colca Canyon, which was an amazing experience. On the way back, however, our 9 hour bus ride turned into a 27 hour bus ride because the teacher strikes were blockading the roads. In the end though, it all worked out and added to the adventure, but the teacher strikes were definitely a challenge. 1. If you come to Cusco, come with an open mind because it can be very different from America (or any other country) in terms of culture, food, and pace, but if you come in with an open mind and willingness to go with the flow it will be a wonderful experience. 2. Meals in Peru are very different then meals in America. For example, most of the time you will have a small breakfast and dinner and a big lunch. So, you might need to allot some extra money for food if you are used to having bigger dinners. 3. If you miss American ice cream like I did, there is place in the Plaza De Armas called Helarte. It is right next to a coffee shop and is the best ice cream you will find in Peru. 4. You should never pay more than 5 soles for a taxi within Cusco. a. You may need to allot extra money for food, because most breakfasts and dinners are just bread and tea. c. Travel as much as you can on the weekends or when you have free time because Peru is gorgeous. d. If you enjoy hiking, look into doing the Salkantay Trek to Machu Pichu. It can be very difficult, but it is definitely worth it as you get to see a mazing Mountains, lakes, and the Inca jungle all in one trek. 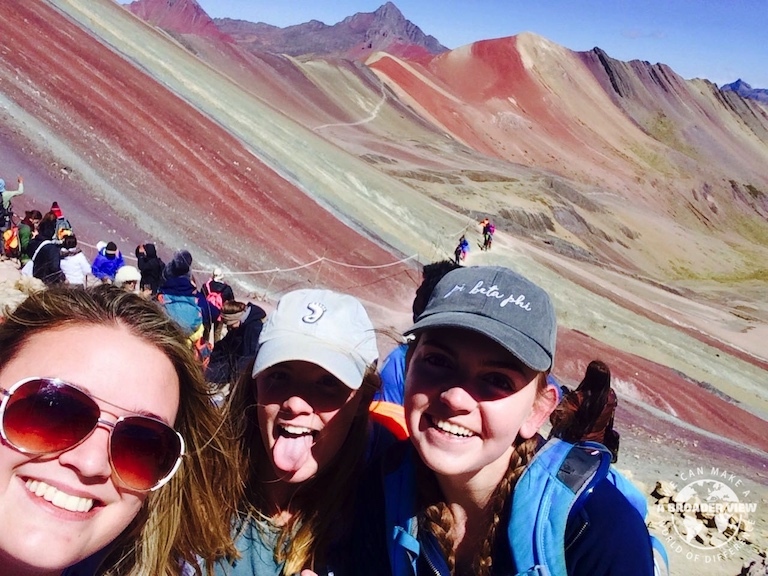 Before I came to volunteer in Peru Cusco, I was a little apprehensive and nervous, but at the same time extremely excited for the experience I was going to have. I am happy to say that coming to Cusco to volunteer was one of the best decisions I ever made as the trip greatly exceeded my expectorations. I am so happy I decided to jump out of my comfort zone and come to Cusco, because I met and became close to some amazing people (the other volunteers) and learned more about myself, all while getting to explore the beautiful country of Peru. My accommodations were better than I was expecting as I had wifi and a hot shower. The meals took some getting used to since I am used to having a small breakfast, medium lunch and big dinner. For the most part I felt very safe in Cusco and the rest of Peru. Program: My favorite memory happened during my first day at the kindergarten when the kids had a fiesta to learn about one of Peru’s three regions, the jungle. This was memorable because I got to see what and how kids in Peru learn while also having a great time learning and playing with them. 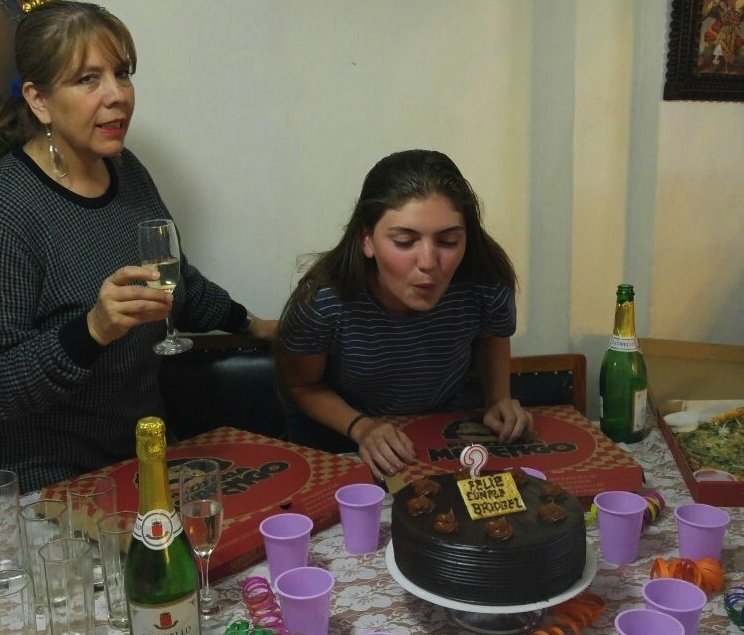 Host Family: I had the opportunity of being in Cusco for my birthday and when the other volunteers found out when my birthday was they threw me a surprise party at the house with pizza and cake. Then we all went salsa dancing later that night, making this not only one of my favorite memories from Peru, but a birthday I will never forget. Country: One of my favorite memories of being in Peru is just getting to explore this amazing country with the other volunteers. The ABV USA Support was great and extremely helpful and attentive.